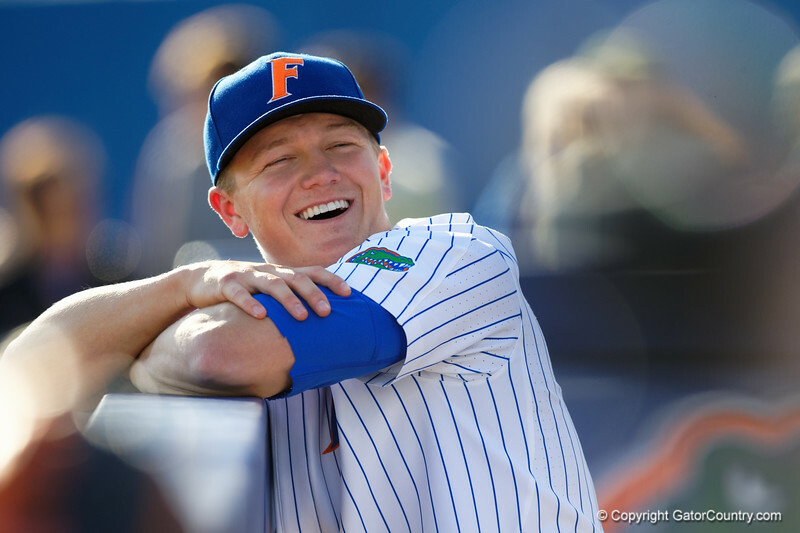 University of Florida Gators infielder/outfielder Blake Reese is all smiles prior to the start of the game as the #2 ranked Gators defeat the #7 Florida State Seminoles 12-6 at McKethan Stadium. February 16th, 2017. Gator Country photo by David Bowie.